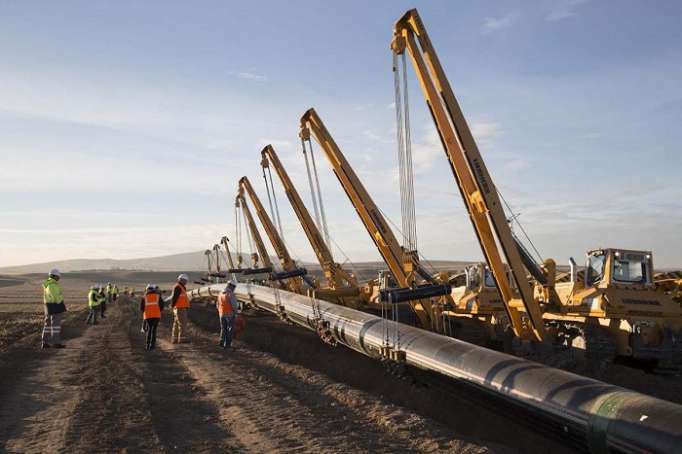 Azerbaijan expects to fully prepare the Trans-Anatolian Natural Gas Pipeline (TANAP) in June 2019 for the start of test gas supplies to Europe, AzVision.az reports citing Azerbaijan’s state oil company SOCAR. Filling the pipeline system with gas started April 15 as part of the second phase. The final phase of the work as part of the TANAP project envisages construction of a pipeline from Seyitgazi district in Turkey’s Eskisehir province to Ipsala region in Edirne, up to the border of Turkey and Greece. After TANAP is fully ready, the construction of the Trans Adriatic Pipeline (TAP), which is the last part of the Southern Gas Corridor, is expected. The launch of “phase 0” of the TANAP project took place June 12, 2018 in of Eskisehir.